People often need to cycle along main roads: because that’s where shops and workplaces are, or because they are the most direct routes. Currently, most main roads make cyclists mix with heavy and/or fast moving motor traffic, which most people find scary. 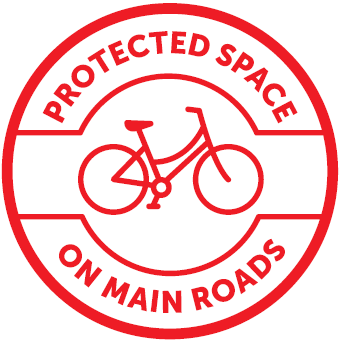 Dedicated space for cycling on main roads and at junctions gives people of all ages and abilities access to the whole road network by bicycle. It can benefit local communities and economies, helping more people get to shopping parades and other facilities without having to drive. You could ask candidates to support installing dedicated infrastructure on a local main road, or to support the upgrade of currently inadequate or incomplete provision. Many of our high streets and town centres have become run down, congested traffic arteries. As the internet transforms our shopping habits, town centres have suffered – but they can be revitalised. They need to be places where people want to spend time, meet friends, enjoy social activity and access a variety of services. To build liveable town centres, we need to prioritise people over motor traffic, creating spaces that can be enjoyed by the local community and easily accessed by walking and cycling. This can create lively, pleasant places that are economically viable and socially vibrant. Increasingly it is accepted that 20mph speed limits save lives, and they are being implemented on residential roads across many areas. Where cyclists must share space with motor traffic, reducing the speed differential is important: both for reducing the risk of death and injury, and for creating more pleasant cycling and walking environments. Yet many parts of our towns and cities still have 30mph speed limits. 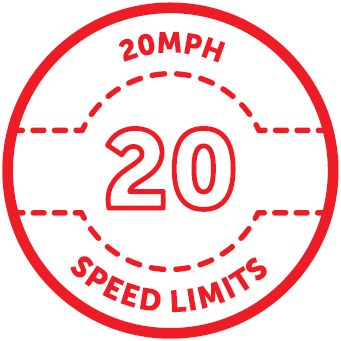 Although it’s great to see authorities adopting 20mph limits often it’s only on ‘residential roads’, meaning that local high streets can still carry inappropriately fast traffic. You could ask candidates to support the extension of 20mph to a local high street or wider area, and for enforcement where needed. 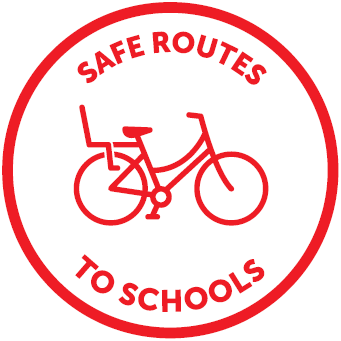 Only 1% of schoolchildren’s journeys are currently made by bike, although many more children and young people would like to ride. Our national child obesity levels are among the highest in Europe, and many of our children have relatively little play space at home. Cycling and walking to school are good for children’s physical and mental health; less driving on the school run will make the streets safer and nicer for all. We’ll be asking candidates to support measures to enable cycling to school, for example by installing a Toucan to enable children to cross a busy road between an estate and the local school. Areas where motor traffic cannot cut through side streets, while walking and cycling are encouraged. 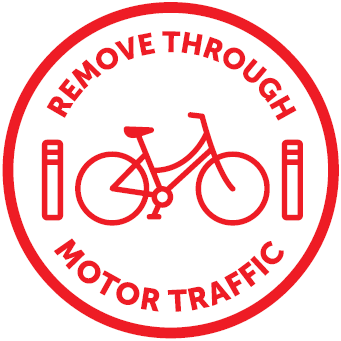 Through point closures (using bollards, planters, or trees), a residential area can be filtered, so that all parts can still be reached by motor vehicle (for deliveries, or to start or end journeys) but direct routes across quiet zones are only possible by non-motorised modes. Such areas are more pleasant and liveable for residents, without stopping them reaching their homes by car, if need be. However, when an area is made safer, quieter, and more pleasant, walking and cycling become more attractive choices. You could ask candidates to implement these measures within your ward. 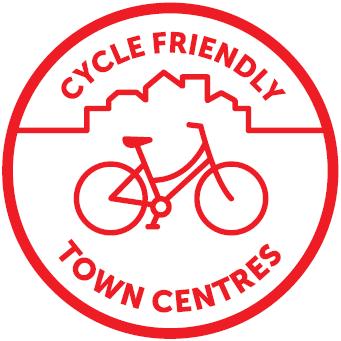 Our network of green spaces should be a fantastic local resource; pleasant and safe routes that are a joy to travel. 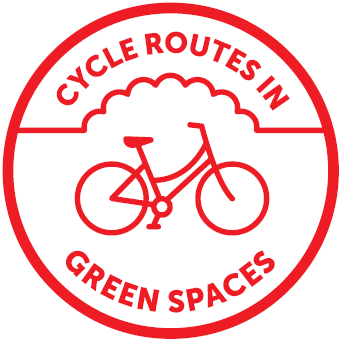 Greenways provide some of the most appealing cycling environments, attracting groups currently under-represented among existing cyclists (for example, older people). People use them for all kinds of purposes: from commuting to work, to weekend family outings, to shopping trips. But our Greenway network is incomplete. Many planned routes have not been completed, and many gaps remain. Even some completed parts are problematic for cycling; for example, where barriers or poor surfacing exclude disabled cyclists and those carrying children. You could ask candidates to complete a local link, or to improve conditions in an existing section.